This was to be the pinnacle of my 2014 running year. The landmark of my progress from not being able to run a 5km parkrun in 2012. Is it a good idea to run 100 miles in “barefoot” minimal shoes? Am I fit enough? It wasn’t long ago that I couldn’t run 1 mile! Did I have the right gear? finish within the cut-off (28 hours). 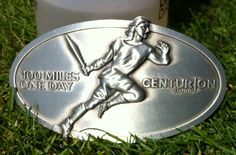 finish sub 24 hours and earn a coveted “100 MILES. ONE DAY” belt buckle. I had my heart set on the buckle! To say that I wanted to complete this 100 miler is putting it mildly. I wanted it bad. This event has been the focus of every run, every training session since I registered. If I couldn’t walk properly for 6 months after, it would still be worth it. Short version: path, bridge, path, bridge, lock. Path, lock, path, bridge, path. Field, field, field, field, field, field! After studying the 2012 results I could see that people that made it to the halfway point in 10 hours generally finished under 24. 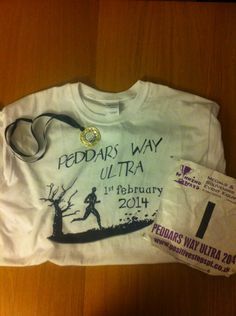 My plan was to pace myself to the midway checkpoint (Henley-upon-Thames 51 miles) in 10 hours. I travelled to Richmond the day before, to ensure I’d get to the HQ on time. Met a fellow runner, Rod Freeman at the hotel and we went out to find the race HQ and start line. I checked over my gear for the 10th time and re-packed. Checking in next morning I was feeling up-beat but nervous. 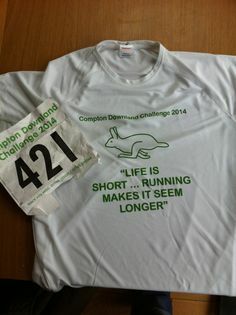 I’d tapered for a week before, in fact I hadn’t run very much since Compton Downland 40 miler 2 weeks earlier, so I was itching to run. I introduced myself to a couple of other runners from Norfolk, Ian Thomas and Phil Whiting, discussed goals for the race and tried to relax a little. At 10am we were off. I started at the back of the pack intending to go at a sensible pace “from the off”. I didn’t stick to this though, and ran 9 min miles for the first 13 miles. It felt good and extertion level felt very low, so I carried on. The first 30 miles felt very comfortable. Mentally I was only thinking about getting to the halfway point in 10 hours and adjusted my pace accordingly. I passed a couple of groups of parkrunners who were friendly and encouraging. The sun was out, making it fairly hot – so I ensured I kept fluid intake up. The checkpoints had electrolyte drink available which was good. Coming into the halfway point (Henley-upon-Thames) at around 10 hours, I now felt like I had it “in the bag”. I changed my shirt here, put on my jacket, fleece hat and put what I thought were my gloves into the jacket pocket. When I went to put the gloves on a bit later I found that I’d actually put my spare socks in my pocket – D’Oh! Runners can have 2 dropbags, 1 at halfway and 1 as Streatly but I had decided against having any… the items I may have put in drop bags (spare socks, t-shirt and night gear) I carried instead. That way if I needed anything I wouldn’t have to wait until I got to my dropbag. So I took convenience over weight. Around Reading I was reduced to “power” walking and was nicknamed “The Fast Walker” by a group of 3 people who were run/walking. My walking pace at the time was equivalent to their run/walk, they’d overtake me when they were running, then I’d catch up on their next walking break. A couple of them had run the route before and they helped me navigate a section that detoured from the Thames Path through a housing estate. As night fell and the head torch came on I started to really enjoy myself. Running at night gives me a sense of adventure. I particularly enjoyed a downhill section through some woods north of Reading, I was bombing down the hill, on my own, hoping that I was going the right way. I couldn’t see any headtorch lights up ahead. A couple of times I stopped and turned my headtorch off to see if there was anyone following, before carrying on. Leaving Streatley village hall I started to feel really good. It might have been something to do with the cup of tea I’d quickly guzzled down. There seemed to be quite a few runners who were reduced to walking, so I managed to overtake quite a few people. I found 1 glove on the path and put that on, as mine were still in my bag. Some sections here were very muddy – at one point I helped a guy who had fallen over and was having trouble getting back up. Luckily I managed to keep upright. Mist from the river made it hard to see very far at times. At a place called Wallingford there was detour to take us to Benson Lock. I’d studied the map before the run and had this memorised. A lot of people had decided to take the Thames Path even though it wasn’t route-marked, so I called them back, hopefully saving them having to retrace their steps. Then there came a section of endless fields, where the river arcs round to the west. It seemed to go on for hours, actually I think it did. Bloody cold now at points, especially after a stop a warm CP (Clifton Hampden). I had to layer up, hat, hood, jacket and gloves. Shivering. The sun came up and slowly my energy returned. I still had many hours of slog ahead of me, but sub-24 looked to be in sight as long as I could keep going. At CP12 with about 9 miles to go I was overtaken by German couple who were looking very strong, running a steady pace. I decided that I’d try and stick with them. Turned out the guy had run BadWater, and organises 200 mile races in Germany. They really helped me to keep motoring all the way to the end. Last checkpoint before the end we stopped for 5 mins to grab a cuppa – one of the volunteers was a runner who I had met at Compton Downland 2013, it was nice to see a familiar face. We had a quick chat about how great Compton Downland is. He’s a member of the 100 marathon club, sadly I can’t recall his name! I travelled the last few miles into Oxford and finished with a final time of 22 hours 44 minutes. 57th out of 147 finishers (and 227 starters). I’m really happy with the result. I spent the next few hours sitting in the sun at the finish line, being very well looked after by the volunteers (tea and sandwiches) and clapping as people finished. A really nice way to finish the event. This was a very well organised and professional event – thanks Centurion. How they manage to route-mark 100 miles so well, is astonishing. All the volunteers did a great job too – thanks. Respect to all those who attempted this feat! Recorded in 2 parts. 1st part logged with my Garmin 310 until the battery died, second part with the Strava mobile app. – Fill both bottles with electrolyte drink. – Eat some fruit and jelly babies. – Grab 4 gels to “eat” during the next section. I avoided nearly all the hot food as I didn’t want to stop too long. I was offered some vegan soup at Reading checkpoint, I had half a cup – it was delicious.